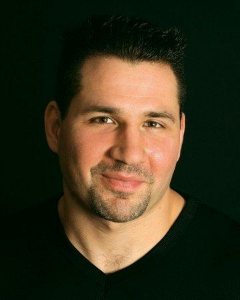 Michael Vecchione was born in Youngstown, Ohio and graduated High School in Boca Raton, Florida…. He played football and placed second in the 1991 AAA state wrestling tournament…He attended Pennsylvania State University where he earned a bachelors degree in Criminal Justice and went on to receive a Master’s degree in Special Education from Cabrini College in Pennsylvania. Mike has worked as a counselor and Special Education teacher in the Philadelphia area. At the end of 2003, Michael moved to New York City. He has appeared on Comedy Centrals Live at Gotham, Comedy Centrals Fresh Face Debates, and Russell Simmons Presents: Stand Up at the El Rey Theatre. Michael also had a guest appearance on the IFC hit show Z Rock. Michael headlines across the United States and is based in New York City.